Pretoria, 07 September 2017; The South African Police Service is pleased to announce the return of its TV programme, “When Duty Calls”. This follows a production break of several months. The freshly revamped programme will now be aired every Thursday at 22:00 on SABC 2, starting tonight. The show promises to bring an in-depth report on policing in South Africa by showcasing priority investigations, operations and successes. Interviews with victims, key-witnesses and our own investigating officers will also be aired. Certain episodes will tell the story of a crime and the police investigation that followed. The show also works to expose criminals with a view of preventing crime in our communities. The production will also educate the nation on how one can avoid being a victim of crime and will empower communities to know more about police officials, their duties and their challenges. 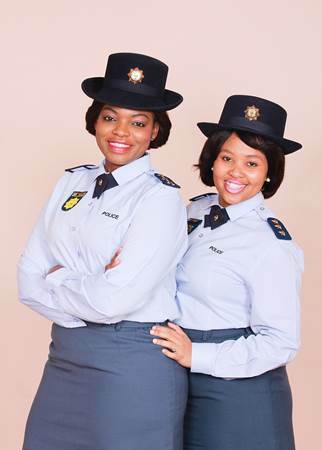 The return of the show sees two new presenters from within our police ranks, Captain Ndivhuwo Mulamu & Captain Kgaogelo Chokoe.